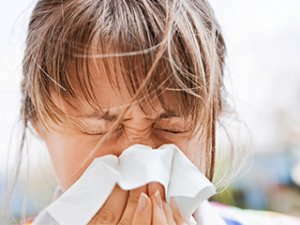 Caused by the same irritants as hay fever, runny nose, coughing, and sneezing, eye allergies commonly affect those who suffer from other allergy symptoms. Not only do eye allergies cause discomfort, but they can also interfere with daily activities. Medically referred to as allergic conjunctivitis, individuals who are predisposed to allergic reaction experience eye allergies when they come into contact with allergens (substances which prove harmless to others, like pollen, mold, dust, and pet dander). In addition to these allergens, some eye allergy sufferers also experience reactions to perfumes, smoke, cosmetics, insect bites/stings, foods, and the preservatives found in eye drops. When an allergy sufferer's eyes come into contact with an allergen, his or her immune system reacts, and cells known as mast cells release histamine to try to combat the allergen. Histamine causes the symptoms associated with eye allergies. When mast cells in the eyes release histamine to fight off allergens, the eye lids, conjunctiva (membrane covering the underside of the eyelid), and sclera (white of the eye) become irritated. This leads to swelling, redness, watering, burning, and itching. Severe eye allergies can also cause light sensitivity. Though it appears similar, unlike pink eye (bacterial or viral conjunctivitis), allergic conjunctivitis is not contagious. Eye allergies affect up to 30 percent of adults and 40 percent of children. While anyone can be born with or develop allergies, people whose parents suffer from allergies are more likely to have allergies. If you suffer from eye allergy symptoms, an eye care professional can provide you with a proper diagnosis, ruling out bacterial or viral conjunctivitis. Often over the counter eye drops formulated for allergy relief are often sufficient treatment. If they do not provide enough relief, an eye care professional can recommend or prescribe other methods of treatment such as decongestants, oral antihistamines, eye drops with antihistamine and mast stabilizer, corticosteroids, or immune therapy shots. The best way to prevent eye allergies is to avoid eye allergens. Keep windows closed and stay indoors as much as possible during allergy season, replace air conditioning filters with high quality filters that trap allergens, reduce exposure to animals, wash bedding in hot water to remove allergens, and reduce humidity in the home to prevent mold growth.